Can I use the app in Offline mode? All of Capptions apps are designed to work offline as well as they work online. 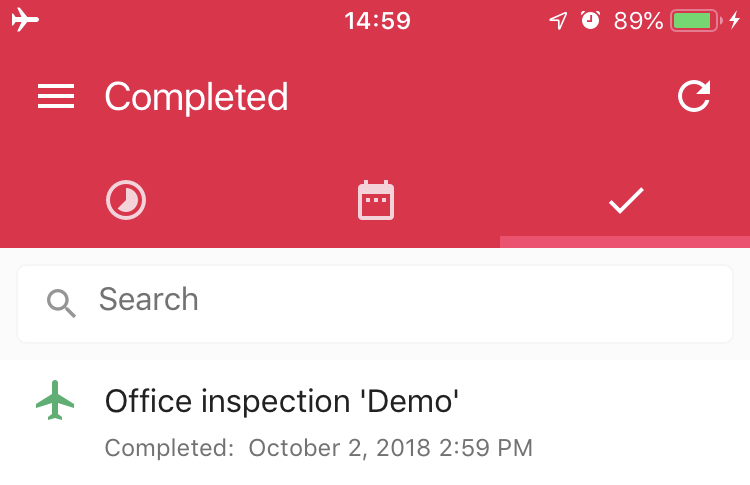 You can fill an inspection without an internet connection. Simply click on the app, fill out all the necessary details. Click on 'Save'/'Complete' as needed. You filled in details will saved locally on your device while the app waits for an internet connection. As soon as you phone/tablet is connected to the internet again, the data will be synced to the cloud. The app connects and syncs automatically. If you logout in offline mode, you will lose all the data that is yet to be synced to the cloud, this includes the current capption/observation/action. The app will give you an appropriate warning. You will not see data as per the 'Key identifier', the one filled in the previous inspection. This is because it has not been synced with the cloud database yet. You cannot login into the app without an internet connection because logging-in requires online authentication. Hence we advise you to stay logged in always. When you do not need the application, close it. No need to exclusively 'log-out'.